This article, 'A guide to Mobile phone insurance' will assist you in making a wise decision while embarking on any form of mobile phone insurance. Mobile phone can be an expensive investment. And taking into account the value cell phone, the frequency with which you'll use your phone and how relatively fragile it is compared with the old-school brick phones that preceded smartphone technology, cell phone is something that can be easily damaged, lost or stolen - and all of these events can prove as costly as they are stressful. 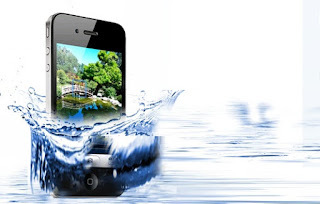 Nevertheless, depending on how you buy your mobile phone and if you go through one of the major providers, there are options for protecting your device (and your wallet) against any of the above unfortunate events. Phone manufacturing company provide a complimentary warranty (and additional extended warranties are available to purchase), and all of the big carriers offer phone insurance, either as an add-on to your monthly plan cost when you sign up or to be bought separately if you decide you'll need it down the track. Therefore the purpose of buying insurance is to protect you mobile phone against the things that a manufacturer’s warranty does not. While warranty will cover you for mechanical breakdowns and faults, it’s of no help if – like so many of us – you accidentally damage your device. Likewise, if you suffer the misfortune of losing your phone or, worse still, having it stolen, you’ll be on your own. Insurance is always an optional additional purchase, but it exists to give you peace of mind against these not necessarily likely, but definitely possible, mishaps. Accidental damage including spills, liquid submersion, drops, cracks, liquid, any damage caused by accident. Mechanical and electronic failures, if your manufacturer’s warranty has expired and the failure would have been covered under this warranty. Loss or theft of your mobile phone. You have two options if you decide cell phone insurance is worth the investment – either taking out a policy through your cell phone carrier when you buy a phone (which usually needs to be done within 30 days of purchase), or through an independent company unrelated to your cell network. All of the big carriers – Sprint, AT&T, Verizon Wireless, and T-Mobile – offer what’s basically the same insurance under different names, through insurance company Asurion. Asurion insure approximately 20% of cell phone users through the policies they administer for carriers. A non-refundable deductible will be charged per claim, of up to $175 for high-end smartphones. Covers in the event of loss, theft and accidental damage as well as mechanical breakdown. Maximum of 2 claims within a 12 month period, with a maximum of $1500 per claim. Coverage must be taken out within 14 days of purchase. NOTE: If you purchase your device through T-Mobile's JUMP! early upgrade plan, Premium Handset Protection and Lookout Mobile Security Premium are included as part of the $10 monthly JUMP! fee. $7 per month for tablets, $9 per month for cell phones. Provides comprehensive coverage for loss, theft, damage (including liquid damage) and mechanical or electrical defaults after the manufacturer’s warranty expires. Two replacement phones allowed per 12 month period, with an equipment maximum of $1500 per claim. $9 per month or $11 per month for high-end devices. Provides coverage for loss, theft or damage (including liquid damage). Deductible of up to $200 depending on the device will be charged per claim. A maximum of three replacements or repairs within any 12 month period, with a limit of $1500 per claim. Provides coverage for theft, loss, accidental damage and out-of-warranty malfunction. Policy covers the phone itself, standard battery, standard battery charger and SIM card. A non-refundable deductible of up to $199 applies, depending on the device. Two claims allowed within any 12 month period, with a maximum device value of $1500 per claim. Insuring your mobile phone through third-party providers is almost the same, althoug there are often key differences. The good thing about insuring with outside companies is that you can sign up at any time after purchasing your device, so long as it is 100% functional with no prior damage or defects. Many of them also offer a cash reimbursement option for your damaged phone instead of either replacement or repair. Strangely enough, you may also find that policies offered by other companies instead cover incidental issues that Asurion does not, such as display failures, issues with your antenna or wireless connection, or touchscreen failures. As with manufacturer’s warranties, personalized data – such as contacts, music, video, and customized software – isn’t covered. Before buying individual cell phone insurance, check that you don’t already have existing coverage elsewhere. Renters or homeowners insurance may cover your phone already without you needing any additional protection.